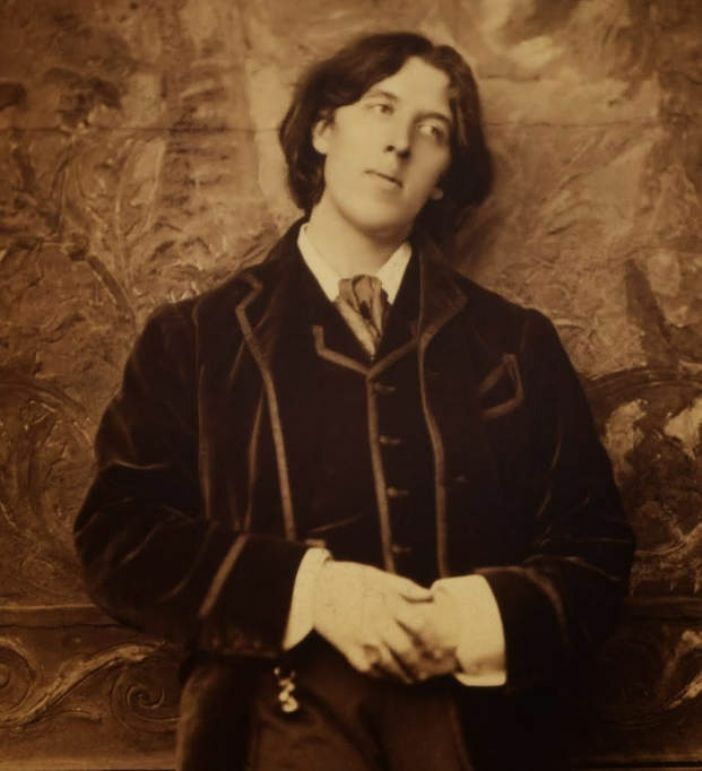 This evening we have all been down to the Penzance Institute, a gay little party, to see and hear the famous aesthete Mr Oscar Wilde. 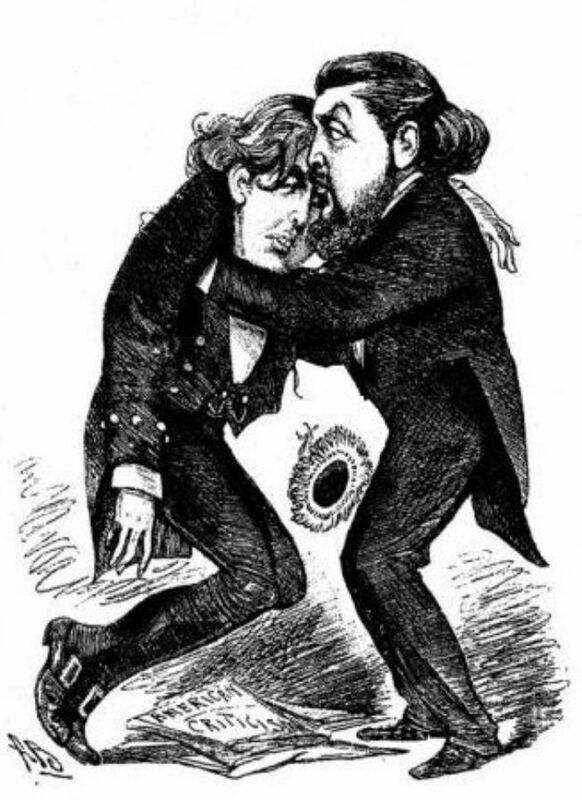 We had seen the cartoons, showing him fragile and etiolated, with long hair and a singular – foppish, even – style of dress. But what did we see on the platform at St John’s Hall tonight? “A tall, well-favoured gentleman in evening dress with lackadaisical step”. True, the trousers of his “exquisitely made” black dress suit seemed to be turned up at the cuff. And true, there was about his person a handkerchief of “straw-coloured” silk, with “pendant corner gracefully falling over the waistcoat” (which in turn was open, revealing – as if by negligence - a fine shirt front). But he is, in other respects, a wholly unremarkable figure of a man. He had been billed to talk about America, so imagine our surprise when, at the commencement, he announced that he “could not say anything useful” on the subject. But it turned out that this was mere drollery, because while he would not weary us with longitude and latitude, imports and exports, and so forth, he could – and would - offer his personal recollections. And that, of course, was what we had all gone along to hear: a few wisdoms, and a many arch witticisms, from the most esteemed society dinner guest and wit of the age. America! How many among us long to make that trip? He spoke of the comfort – if not the splendour of the clothing. Of the absence from the streets of shaming poverty – everyone, seemingly, with a coat and hat. He spoke of the tremendous hurry – imagine that, from a man used to the pace of London! And he spoke of the “romance of commerce” which is, to them, “a wild game of life in which everyone, old and young, took part”. He transported us with the magic of his words to the “great commercial towns with marvellous hotels, long, straight streets, and mammoth dry goods stores, the streets being lighted by the electric light, which gave to them at night a sort of perpetual moonlight”. He spoke of crossing the Prairies; of his travels in the defeated south, where he “for the first time recognised clearly what ruin war brings a country”. How we laughed at that! He conjured before us the Indians – some civilised, some retaining native habits; the Mormons at Salt Lake City, where “a few years ago there was nothing but the Indian and the wild buffalo”; the trigger-happy silver miners of the Rocky Mountains. And he spoke, most beautifully of all, about California, and the delicacy and beauty the Chinese had brought to the place, so that visitors might take their tea from “cups delicate as the petal of the white rose”. Mr Wilde is, of course, a man of aesthetic leanings – and so it was natural for him to pass to the topic of rational dress. He drew attention – delicately, of course - to the “natural curve” of a lady’s waist, and made it clear that he has no time for the “bows and flounces which had no meaning whatsoever. Rather, Mr Wilde favours the well-proportioned foot; the free movement and “natural folds” of drapery when a lady rises, walks, even runs. And there was much more – on lady doctors and lawyers; on education; on how in America “no man was barred by class or birth from anything”. But I fear that by that point he had lost some of his audience, and while there was “applause” for his remark, it was only “slight”. But it is his face, and his voice, that will stay with us. His hair “arranged after the antique, and clustering fully low over the forehead, back over the head, and low down the back of the neck”. His facial features “classical to a feminine degree”; the “exquisite smile” and “expression of genuine female beauty”. His “head gracefully thrown back on one side, the left hand artistically placed on the left side”. The “softly effeminate voice”. It is these memories that will endure; these that will be spoken of in the years to come, when his words on America are quite forgotten.